You are viewing the archived 2014 ratings for car servicing. Go to the current car servicing ratings. More than half of those who responded to our most recent survey of New Zealand car owners choose to shop around for a good car servicing/repairs company. This can be really important, because while a stock standard oil change won’t cost you much, you can rest assured that a new gearbox will. The survey also showed, however, that a third of New Zealanders only get their car repaired if it fails a warrant of fitness (WOF). An even more significant percentage (45%) are having vehicles serviced less regularly in a bid to save money. Interestingly, more than a quarter of drivers believe modern cars don’t need regular servicing, an opinion firmly held by a third of both Gen X and Gen Y respondents. Of course, this also means a majority of drivers do think their vehicle needs regular maintenance. With that in mind, we asked drivers who have recently had their car serviced to review the experience. Oil Changers has secured our award for Car Servicing for the second year running, just ahead of a bevy of strong competitors: AA Auto Service & Repair and AA Auto Centre, Pit Stop, and Midas. Here at Canstar Blue we really like how Oil Changers provides post-servicing and car maintenance tips on its website, showcasing that customer benefit is what they’re putting first – not profit from repairs. Indeed, this plays into the company’s motto – “Fast and friendly”. The company achieved five stars in every single ratings criteria: overall satisfaction, value for money, time taken to service vehicles, cost of any required parts, warranty of repairs, effectiveness of repairs, customer service and advice given to customers. We really like how Oil Changers has posts servicing and car maintenance tips on its website, showcasing that customer benefit is what they’re putting first – not profit from repairs. Indeed, this plays into the company’s motto: ‘fast and friendly’. This brand achieved five stars in all ratings criteria: overall satisfaction, value for money, time taken to service vehicles, cost of any required parts, warranty of repairs, effectiveness of repairs, customer service, and advice given to customers. Offering (at time of print) a five-year product and workmanship guarantee, Pit Stop is clearly a company to stand by its work. To this end, it received a top rating for warranty of repairs, while scoring four stars for overall satisfaction, value for money, time taken to service, repair effectiveness, customer service and advice received. Three stars were awarded for cost of vehicle parts. 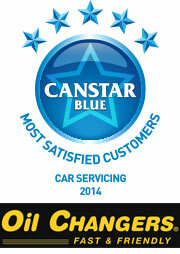 AA Insurance is well known across the country – indeed, it’s a Canstar Blue award winner for car insurance. The brand’s Auto Service & Repair and Auto Centres cater to New Zealand motorists in need of a tune up. The brand received four stars for value for money and warranty of repairs, and three stars for overall satisfaction, time taken for servicing, cost of vehicle parts, effectiveness of repairs, customer service, and advice provided. Midas workshops are available all across New Zealand, which could be handy in the event you find yourself in a spot of bother on holidays. Besides this, Midas also provides a variety of servicing options for cars, from basic to premium level. The company achieved four-star ratings for value for money and the cost of parts, while scoring three stars for overall satisfaction, time taken to repair/service vehicle, warranty of repairs, effectiveness of repairs, customer service, and advice received. Canstar Blue commissions Colmar Brunton using the SSI panel to regularly survey 2,500 New Zealand consumers across a range of categories to measure and track customer satisfaction. The outcomes reported are the results from customers within the survey group who have had their car serviced in the last two years by a car servicing chain – in this case, 367 drivers.